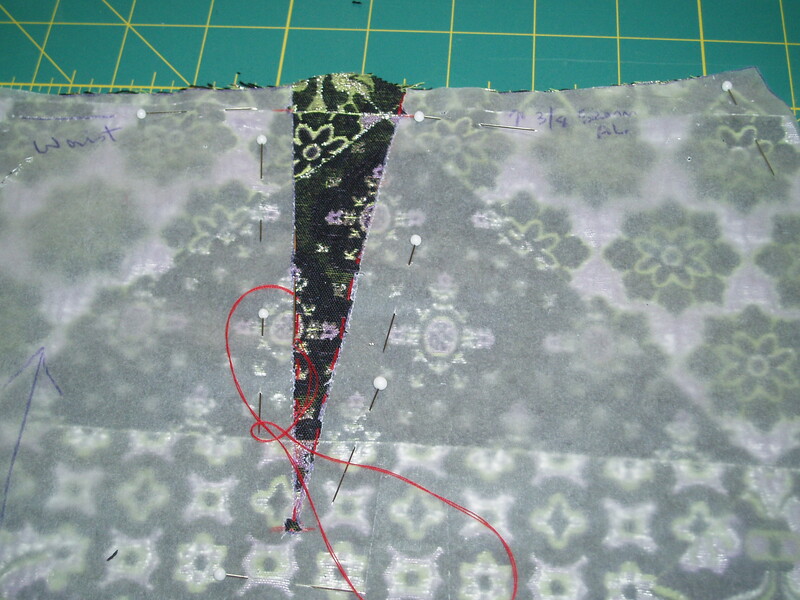 This entry was posted in Beginner, Drafting, Sewing, Simplicity, Skirts, TNT's, Work Wardrobe. Bookmark the permalink. Your skirt is gorgeous! 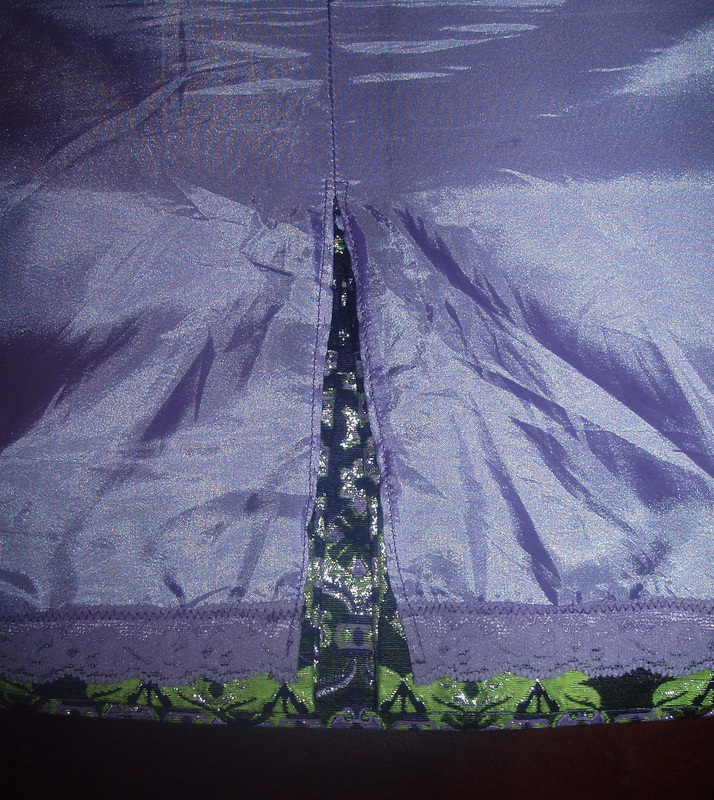 The fabric is stunning and you have worked with it, matching and putting in the invisible zipper, beautifully. You certainly have every right to be thrilled with it. I love it with the purple top. Great work, well done. Go you! This skirt is really great! Be proud! You did a great job, and most importantly, the skirt looks fantastic on! Gorgeous skirt, you can be very proud of yourself! Beautiful skirt and I’m so glad you experienced success with it. Nothing increases the mojo like a successful project. yep, your skirt is to.die.for! 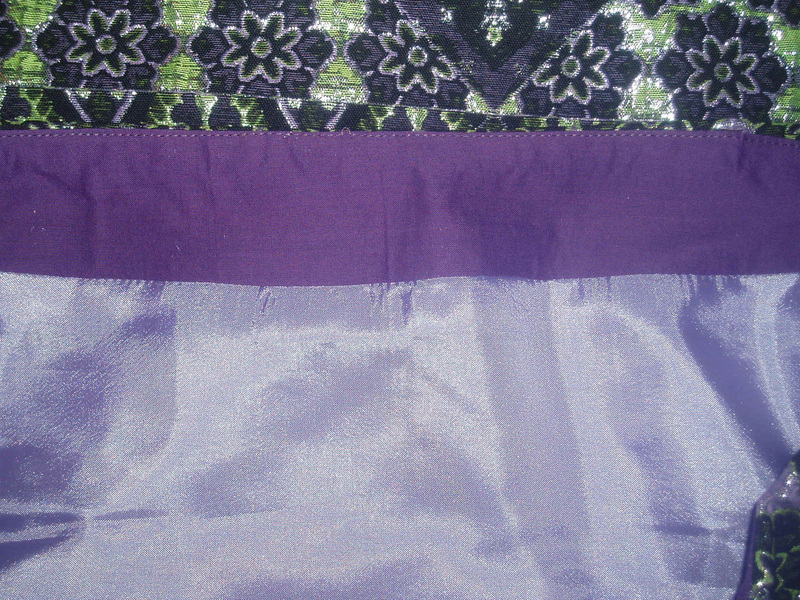 Gorgeous fabric – it is really showcased by the simple design of the skirt. And it will please you for a long time to come, thanks to your careful construction. Well done! Stunning skirt. 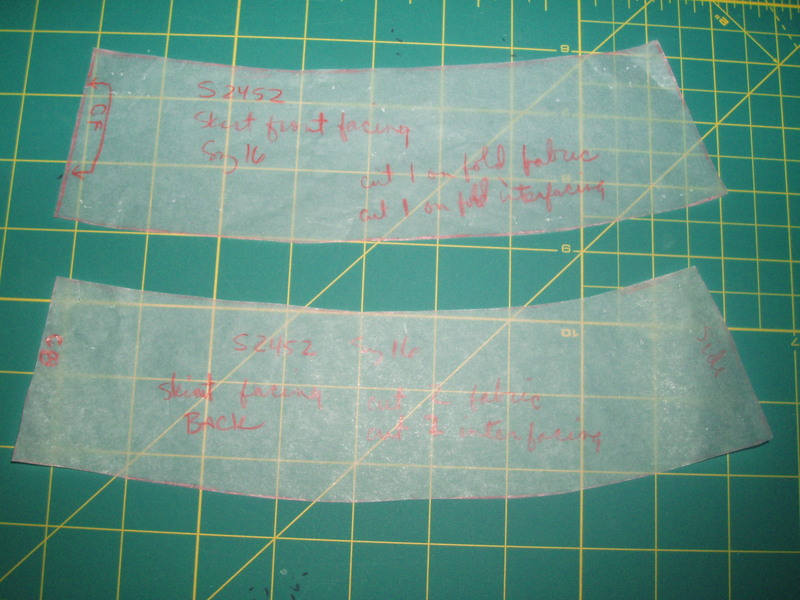 It is smooth and svelte thanks to the care you took with the underlining and lining. The fit couldn’t be better, and the fabric is gorgeous. It was well worth every minute you put into it. Awesome job with all the details and I love the lace too. You’ll get a lot of wear of this and I could see it in the fall/winter with black boots and black top. Way to go! Wow. That skirt is beautiful. You are so NOT a beginner!!! Fantastic skirt! 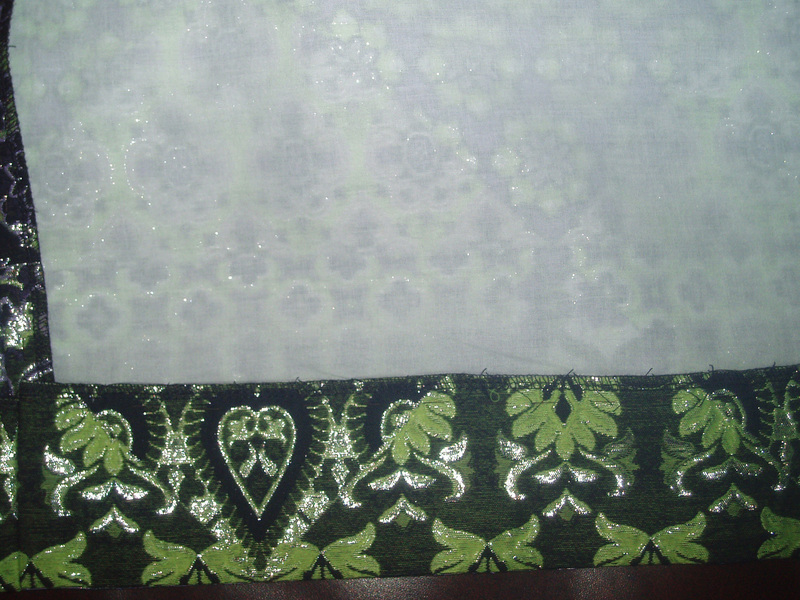 Great fabric, great pattern matching, and it looks beautiful on. Good move using it right away instead of. Waiting for a special occasion. It’s gorgeous! A simple project is the one to try new techniques. It fits perfectly. You also look wonderful in it. gorgeous, gorgeous, gorgeous! Definitely worthy of the fabric and the couturier! Your skirt is absolutely lovely. I read the whole thing and checked out all the photos too. Very very classy. Looks fabulous! Great work, and kudos for trying all those new techniques! Correct me if I’m wrong, but you bought 1 yard of that fabric for $30/yard. And everything else you had (except the lining?). 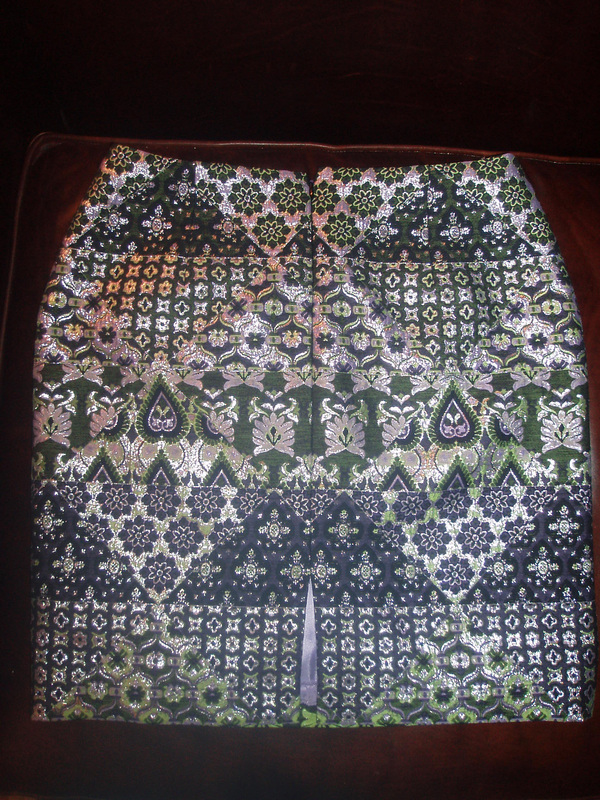 So this is a stunning, Christian Lacroix designer fabric skirt you made for less than you’d pay for a skirt at TJ Maxx. So that’s not so much to pay for fabric. And you love it! The extra time you put into it definitely paid off and will make this a skirt you have for years and years to come. Well done! That skirt is AMAZING!!! It fits you PERFECTLY and I love the fabric. The finishing work is exquisite. Brava to you for drafting your own facing as well! I love no-waistband pencil skirts with facings. That is my favorite type of skirt, hands down. Beautiful skirt! Love all of the details you put into it! Don’t you just love something you’ve made that looks so much better than anything you could buy retail? Your fabric is divine! BTW, what a great way to spend your vacation! What a beautiful skirt! I love the fabric, it looks well worth it! Gorgeous! Your center back seam is pretty amazing–not noticeable at all. It is beautiful inside and out and very flattering on you. Awesome skirt and the print is perfect for the skirt. Oh my goodness!! You’re skirt is fabulous!! Great job! You did an amazing job on that skirt. That fabric is just gorgeous!! Thank you all so much for your wonderful comments. You are all so sweet! So beautiful! The fabric is divine, and you did an amazing job on the skirt. Wonderfully done!! 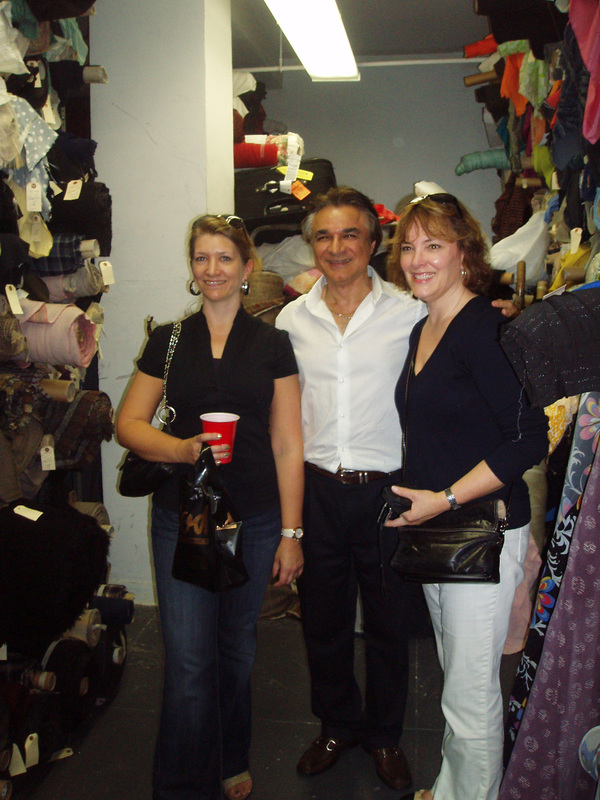 I love everything about your beautiful designer skirt, your construction and details are impeccable. That is so cute. You did a great job! 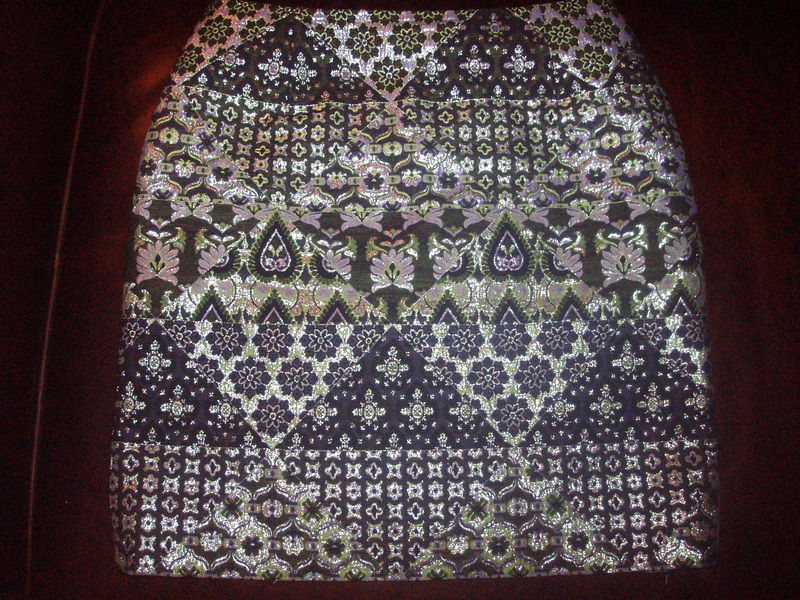 very beautiful skirt, luscious fabric, great finish. And matched to a twin set – perrrrrrfect. I LOVE your skirt! You did such an amazing job and that fabric really is amazing. 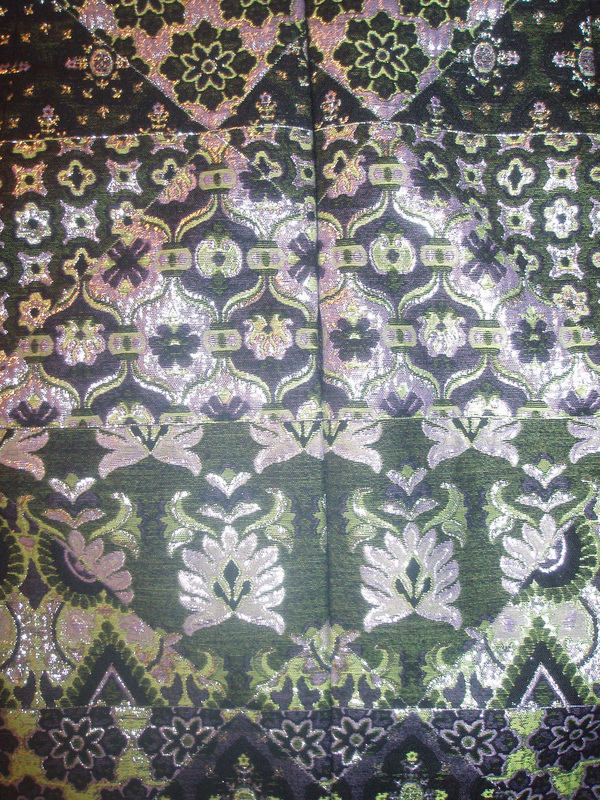 It almost looks like an Alexander McQueen brocade to me. Really fantastic. What a gorgeous skirt! The workmanship is fantastic! 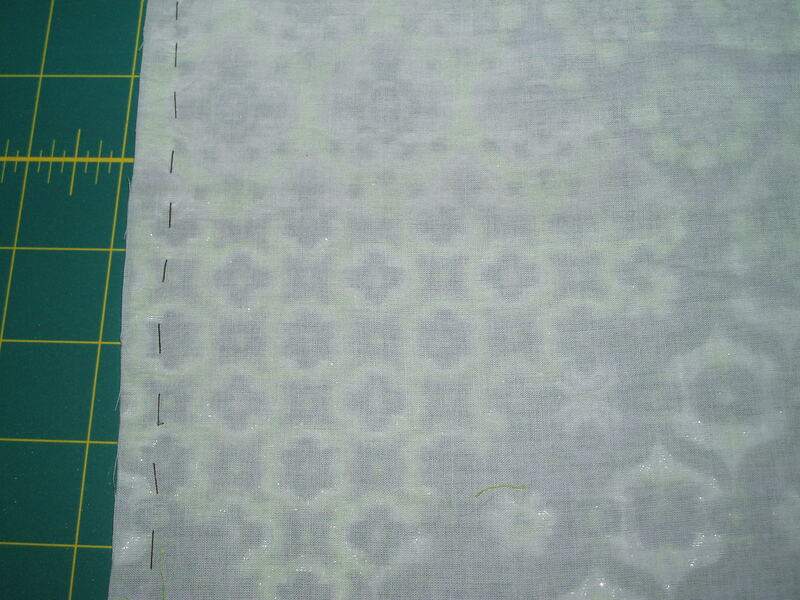 Good for you for diving in and using this beautiful fabric, it’s often too scary and our favourite pieces sit unused and unworn in fabric stashes. Your skirt turned out perfectly and you look fantastic in it. 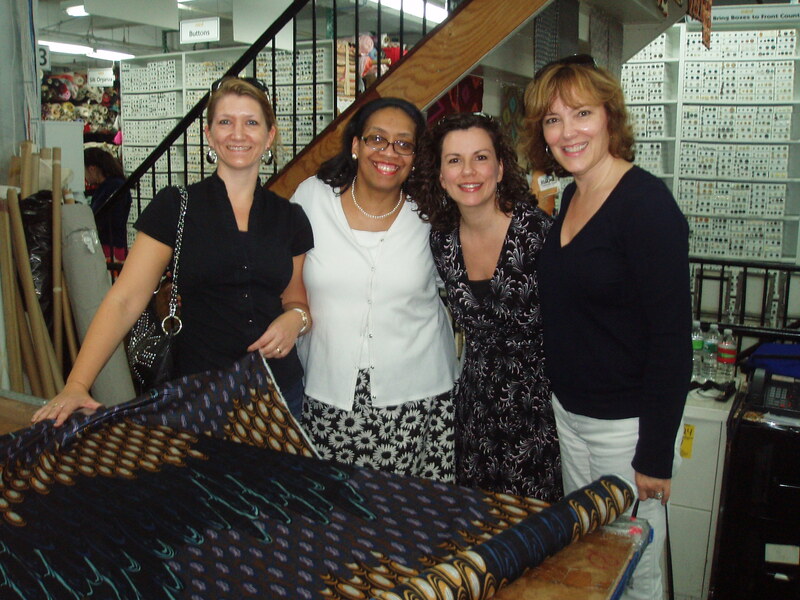 It was so good to meet up with you while in NY and now you have found a great new place to indulge in these fabrics! 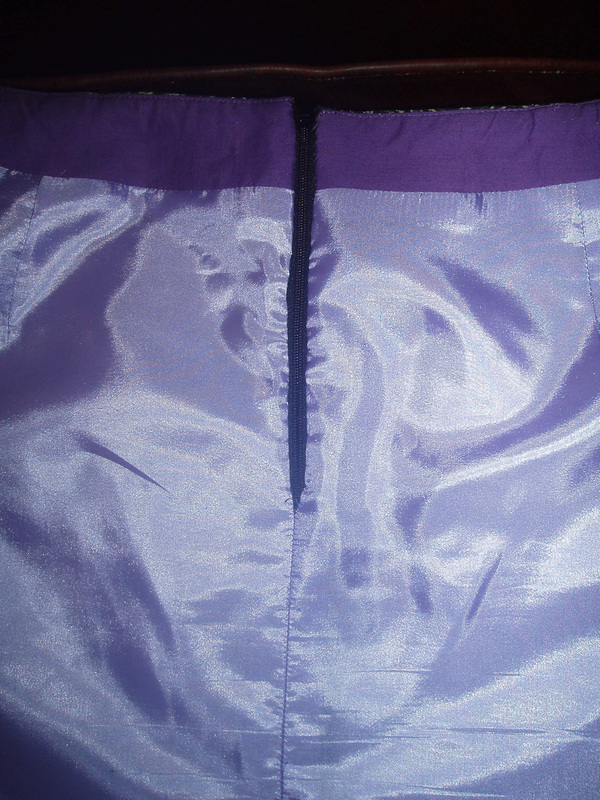 Beautiful skirt – fantastic job! I’ll be hooking up with Thea soon – thank you! What fun! & what a yummy skirt. Absolutely beautiful! The fabric, the fit, and the construction! Bravo! Congratulations – beautiful skirt. Good idea to make it up straight away. A straight skirt is perfect for it.